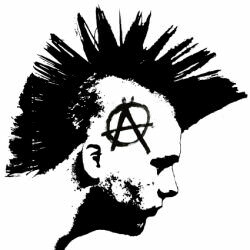 Punks Discussions Liberty.meWho is excited for the summer tour and festival season? Who is excited for the summer tour and festival season? I know I am. I’m going to see The Briefs/Night Birds on Thursday and stop by the Fat Wreck Chords warehouse for a Night Birds in-store performance. I’m also going to see The Menzingers in June. I’m tempted to go to the Epitaph Summer Nationals tour with The Offspring, Bad Religion, Pennywise, and the Vandals. It’s being held at an arena near me and I find arena and outdoor shows really off-putting. Plus there’s no way that The Offspring is popular enough to fill out an arena. I really wanted to go to a festival this year but I’ve been disappointed by the lineups for all the major fests. Except for THE FEST but I can’t afford to fly out to Florida.